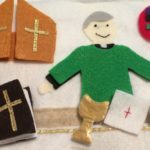 When trying to make religious occasions accessible to kids, it seems as though the “holy grail” of them all is Lent and even, to a certain extent, Easter. 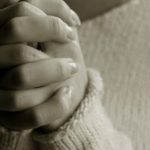 But this year, we wanted to go a bit deeper into our faith and help Jenna celebrate the season of Lent. She absolutely loved the Advent calendar that we made, and I adore the concept of the Jesse Tree, which we’ll be trying for the first time this winter. So, I wanted to do something similar to prepare for and celebrate Easter. 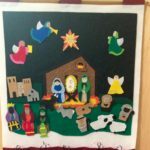 I saw this idea of a Lenten activity tree and, the idea of having Lenten activities tied to the basic premises of “prayer, fasting, and almsgiving” really resonated with me. As opposed to hanging the paper activities, I decided to use plastic Easter eggs. 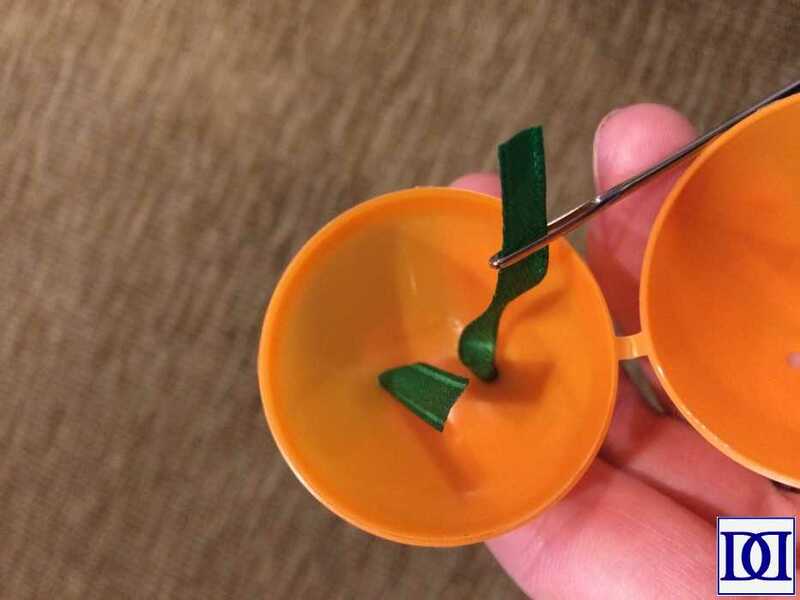 Given the fact that my children are VERY enamored with plastic eggs, I chose to use them to house our various activities (that, and I got over zealous at an impressive after-Easter sale last year and am in possession of roughly 150 plastic Easter eggs). 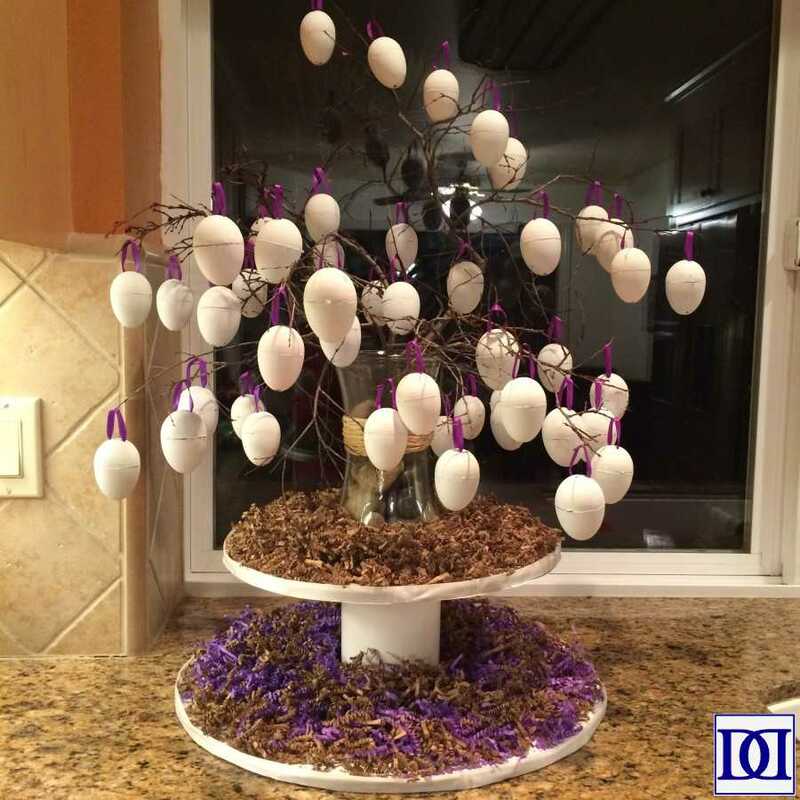 (1) Make a “Lenten Tree” with basic branches and plain white eggs. 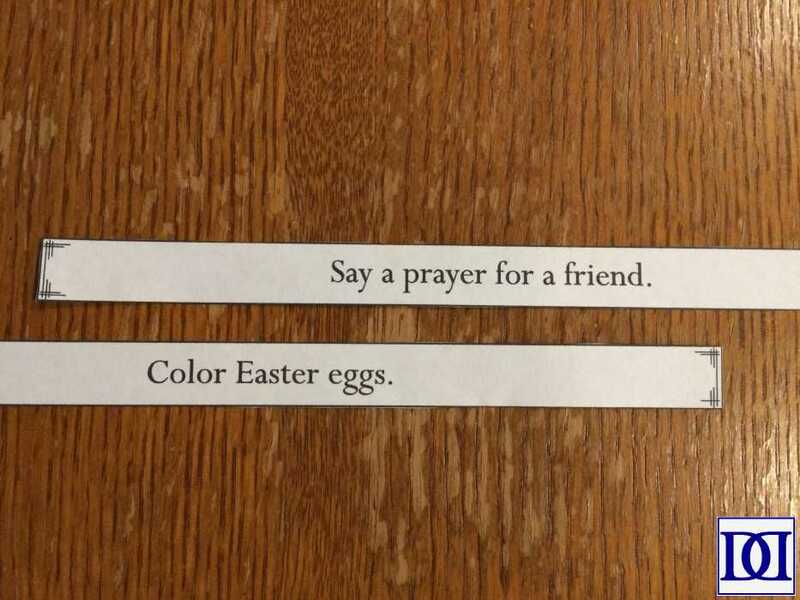 Every day, open one white egg (I’m going to unobtrusively number them so I can make sure we can accomplish each task while bearing in mind our other weekly commitments) and complete the activity. 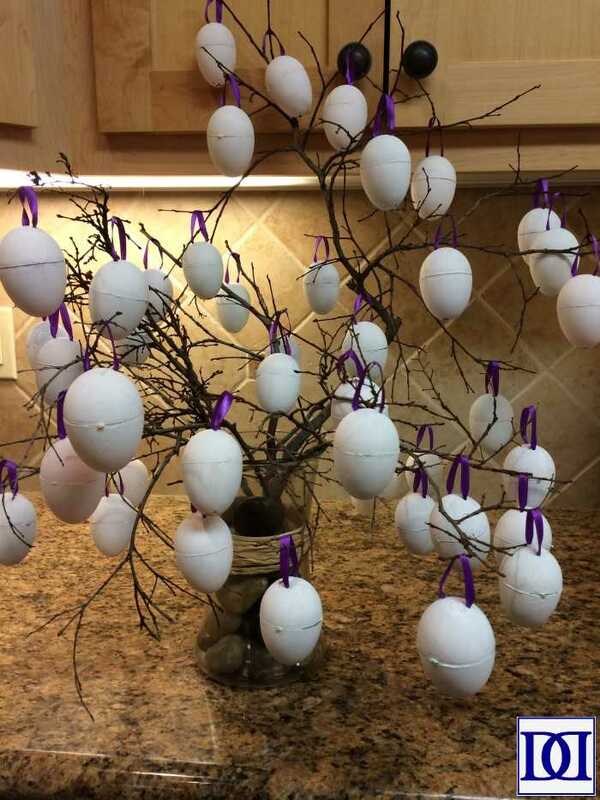 Place the completed egg around the tree. We’re using part of our homemade cupcake stand for this purpose. 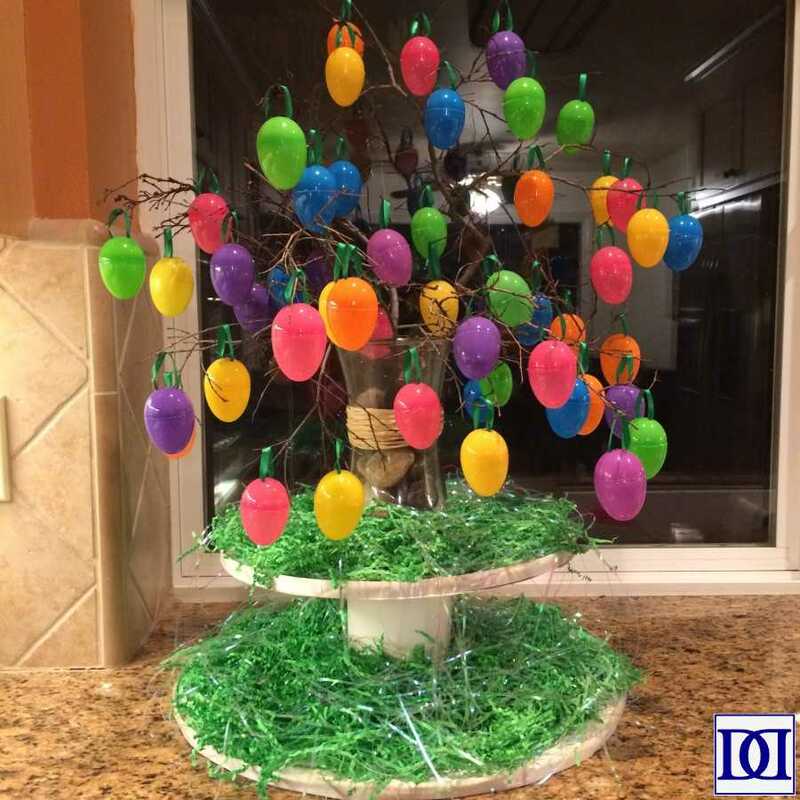 (2) Eventually, on the Saturday before Easter, we will have a bare tree. (3) On Easter morning, the plain white eggs will have been replaced with brightly colored eggs. They will be back on the tree, along with some other decorations/treats, and they will be filled with “goodies” (food, stickers, small toys, etc). That’s the plan! 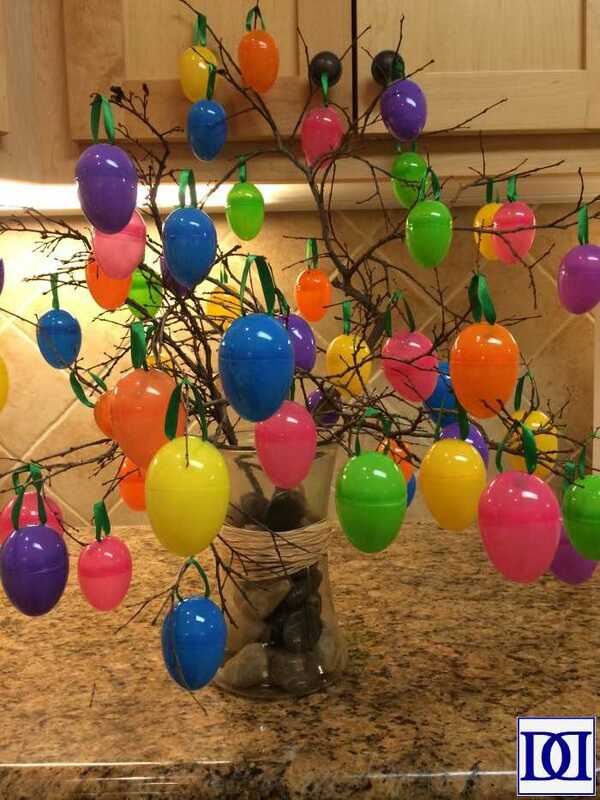 Ultimately, here’s what I’m hoping to model: (1) life of service to God through each daily task; (2) death in its basic scarcity as seen by the bare tree branches; and (3) resurrection in all of its “milk and honey” glory with the transformation of the tree on Easter to vibrant colors and treats! 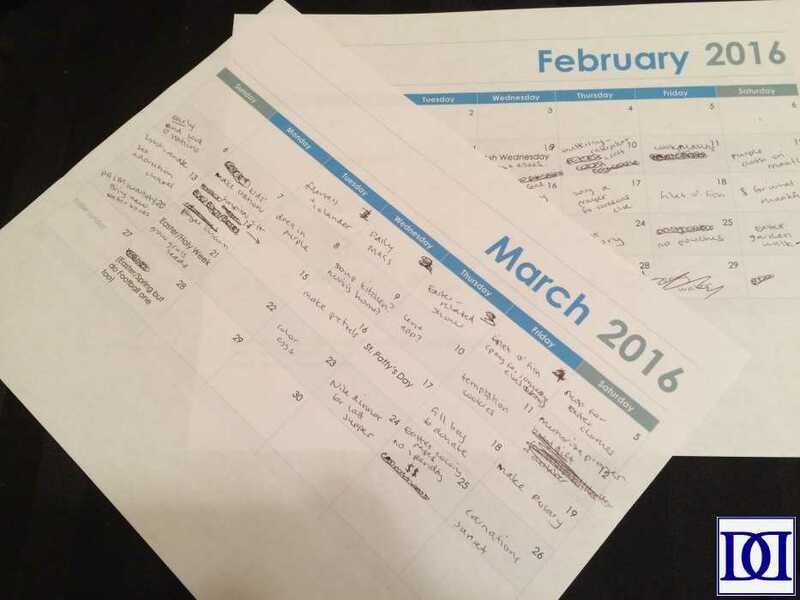 (1) Compile your own Lenten activities and plan when you’d like to accomplish each activity during Lent. (2) Print out activities on small sheets of paper (feel free to use our template here or our written activities here). Cut out and, if you’d like them to be a bit sturdier, laminate. (2) Sometime before Ash Wednesday, go on a walk to collect branches. 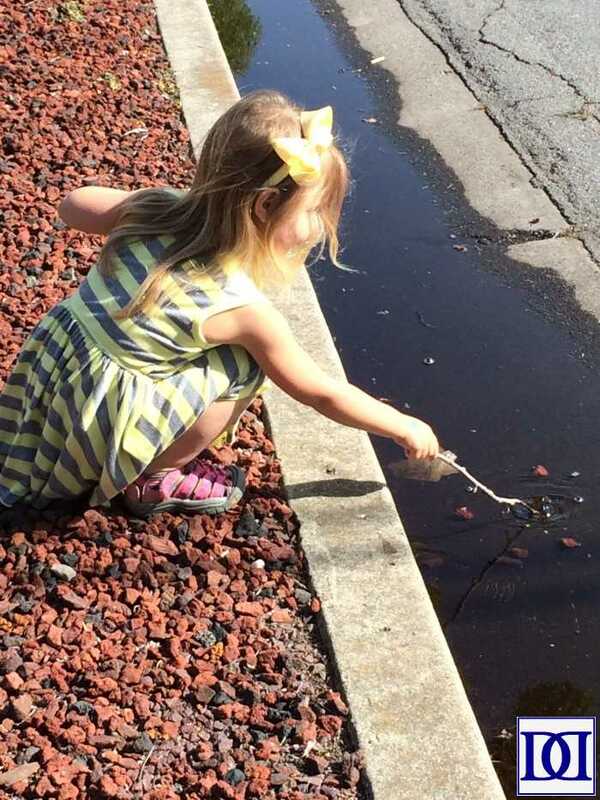 Author’s Note: Jenna loves to “collect treasures” on our walks, so she was thrilled to have them used in our latest project. 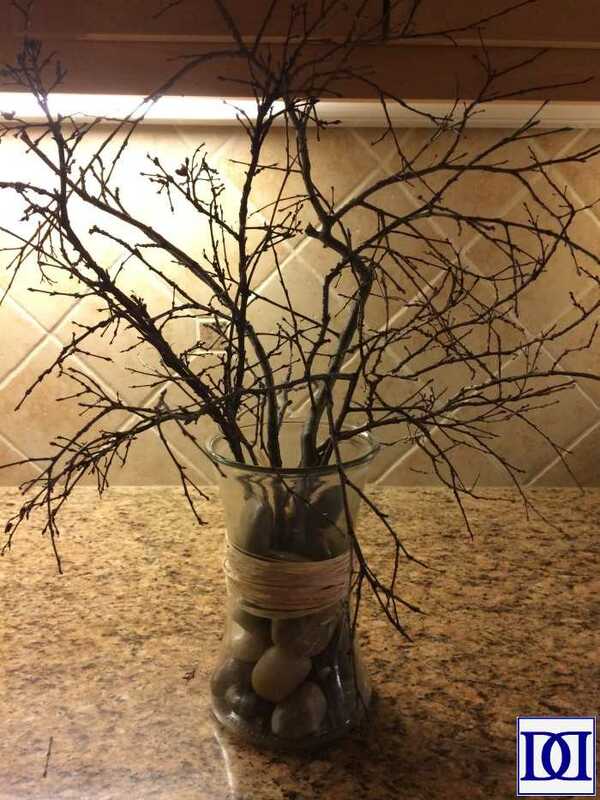 (3) Fill your vase with the rocks and branches, and put it somewhere prominent. Add any other decoration you think would set the mood (we used a raffa ribbon to keep things basic). (4) Cut ribbon in 5″ segments and use fray check on ends. Thread ribbon onto yarn needle and pull through holes in egg, securing ends with a knot. 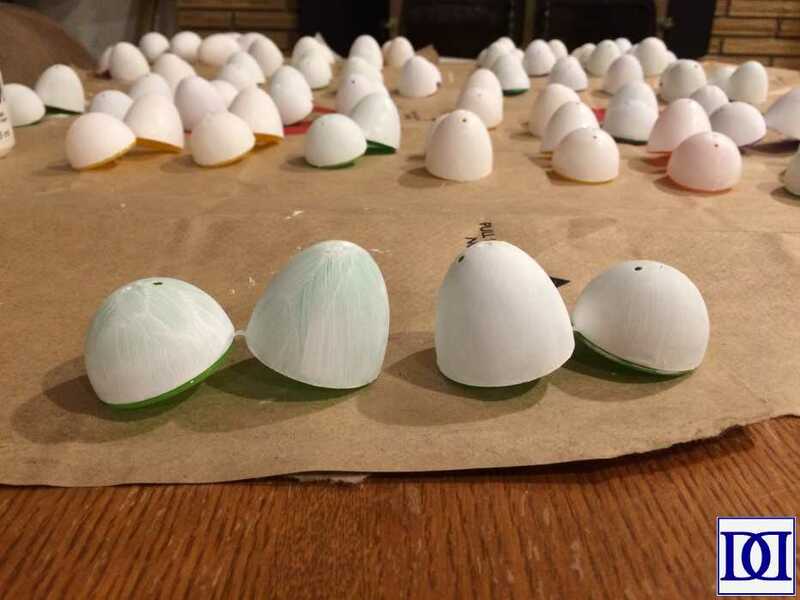 (5) Paint eggs, let dry, add second coat. You really could use any paint you want, but I liked the matte look of chalk paint the best. 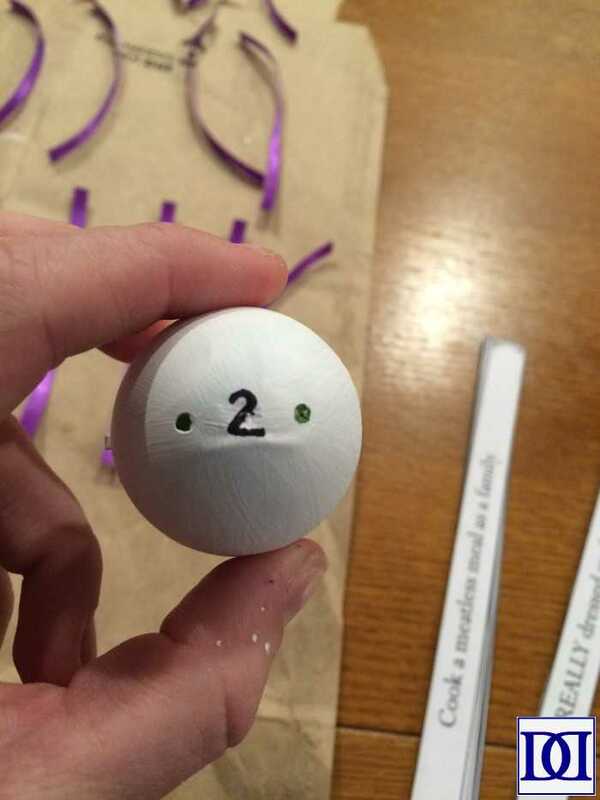 (6) After the paint dries, number your eggs with pen or sharpie (pencil will etch your paint more easily). Author’s Note: Keep a list of which activity is in which numbered egg so that you can alter your plans as need be. 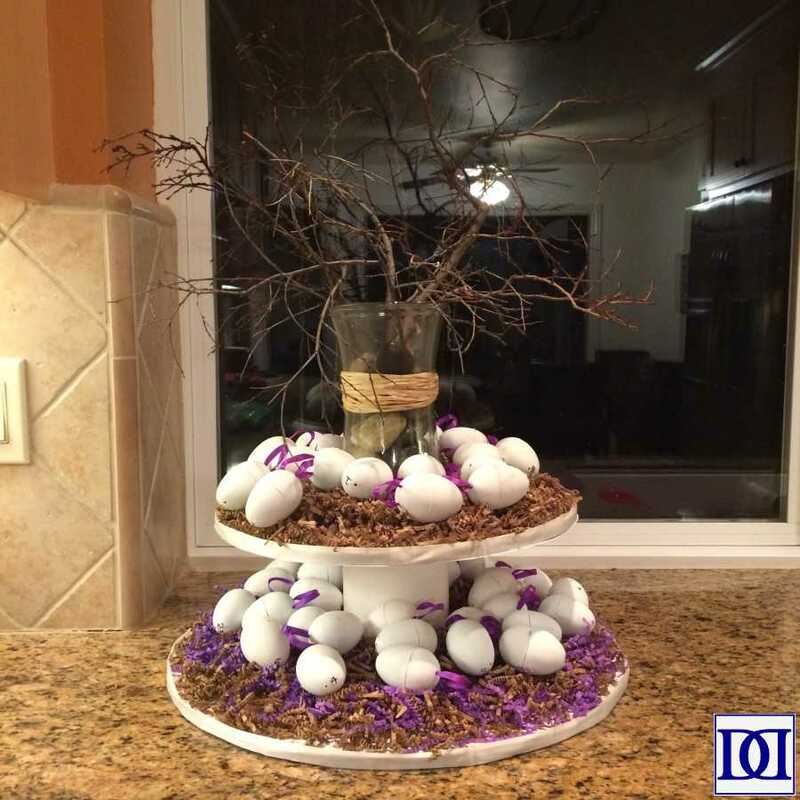 (8) Stuff colored eggs with “goodies,” string them as white eggs above (I used green ribbon instead of purple for the Easter eggs), and store in a safe place until Easter morning. (9) Place on your stand and surround with “shred” (available at the Dollar Store and most local craft stores).